THE PEOPLE OF ANAMBRA STATE ARE PRESENTLY UNHAPPY. The family of late Stephen Osita Osadebe, Nigeria’s highlife maestro are very sad after information reached them that their ‘baby-of-the-house’, Okechukwu (Okey) had been consumed by flood that ravaged the entire town and villages. 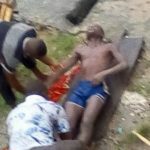 Okechukwu was killed recently in a flood that ravaged Atani in Ogbaru local government area of Anambra state. He was reported to have drowned in the flood at night, with his lifeless body found floating on the river the following morning. Arinzechukwu Awogu, chairman of Ogbaru local government area, who was at Okechukwu’s family house the following morning to sympathize with the Osadebe family, regretted the loss of lives in the council area due to the flood. Awogu called on the people to take extra precautions while the floods last, while assuring that the disaster situation would soon abate. 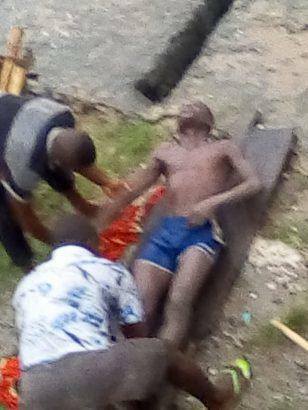 For the records, Okechukwu is the second flood casualty in Ogbaru, the other being the case of a nine-year-old girl, Benedict Uzo, from Amiyi community, who died not long ago while out to fetch water from the river. As at press time, more families have vacated their houses for Internally Displaced Persons, IDP, camps as floods submerge structures and destroy household items. The State Emergency Management Agency has provided the displaced families with relief materials.